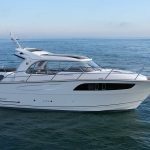 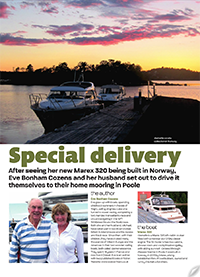 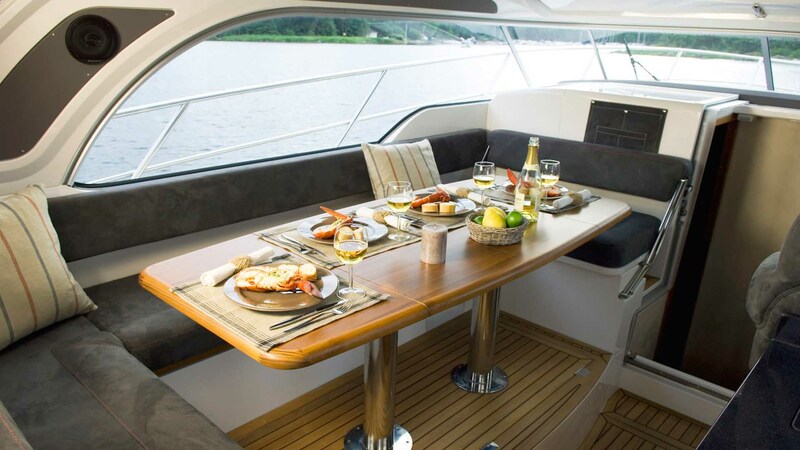 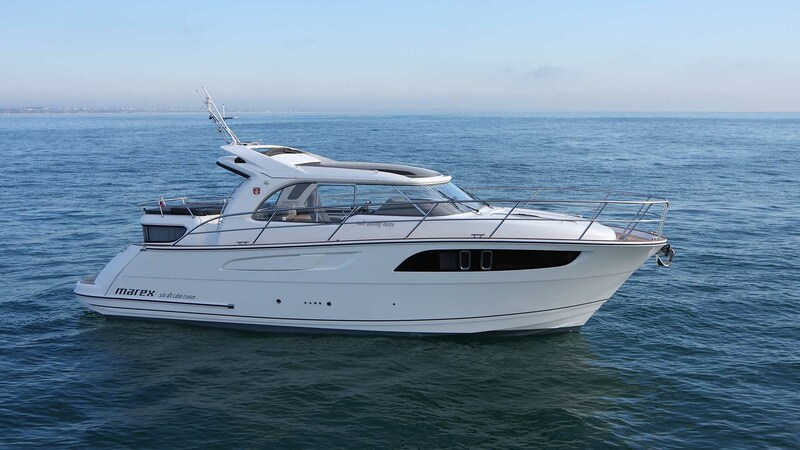 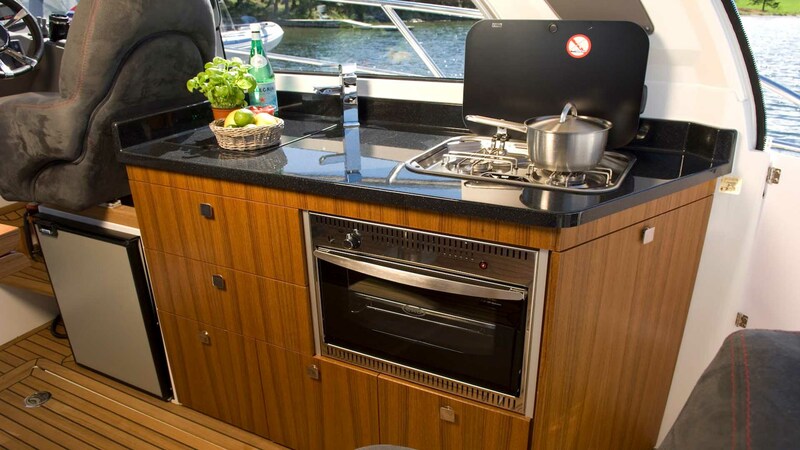 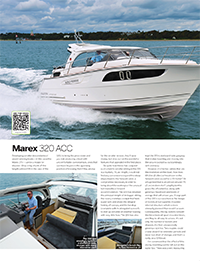 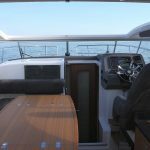 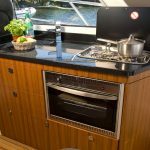 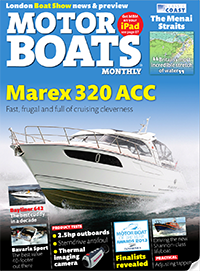 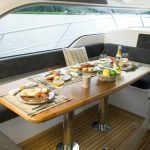 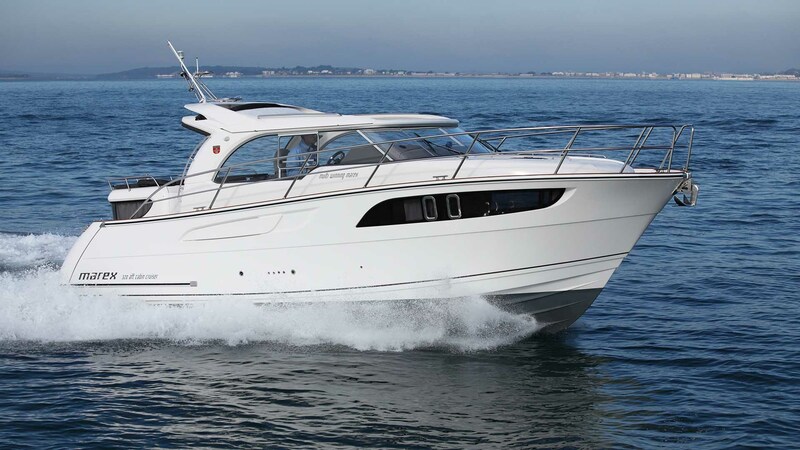 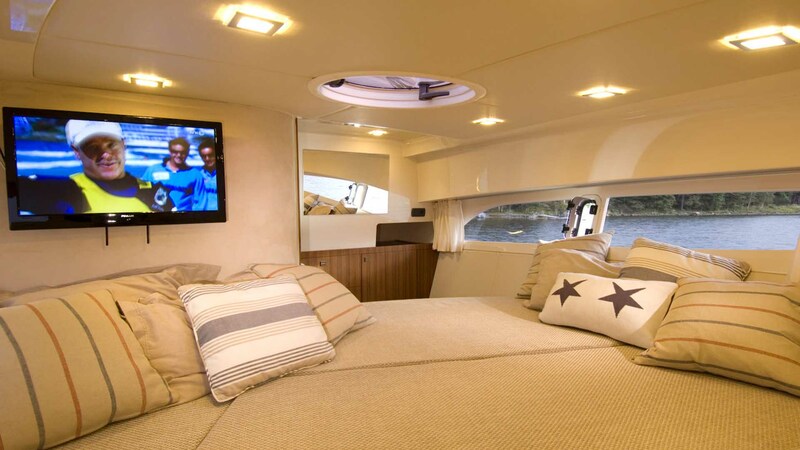 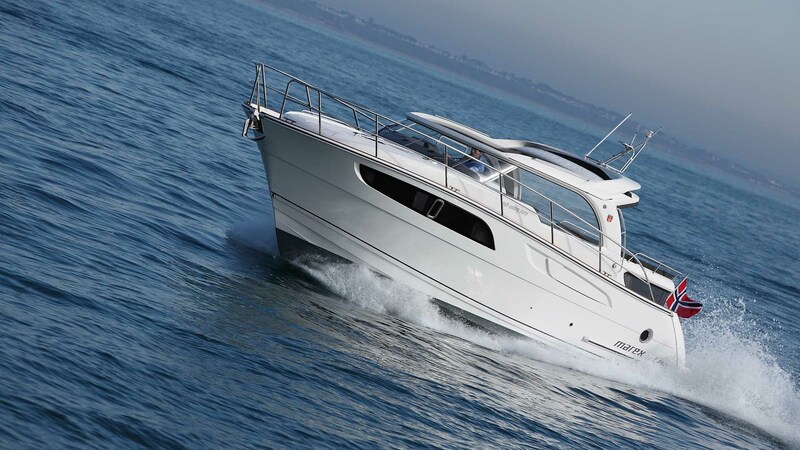 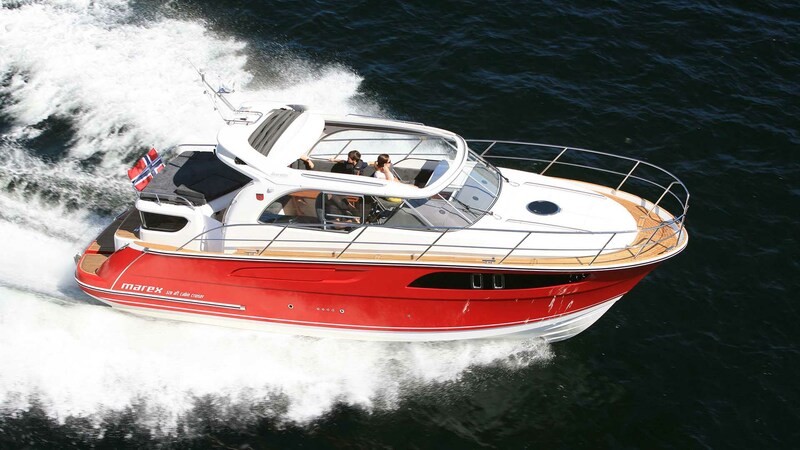 The 320 ”ACC” Aft Cabin Cruiser follows the success of the larger 373 ACC and offers this multi award-winning format with class leading accommodation and style to the sub 35ft sector. 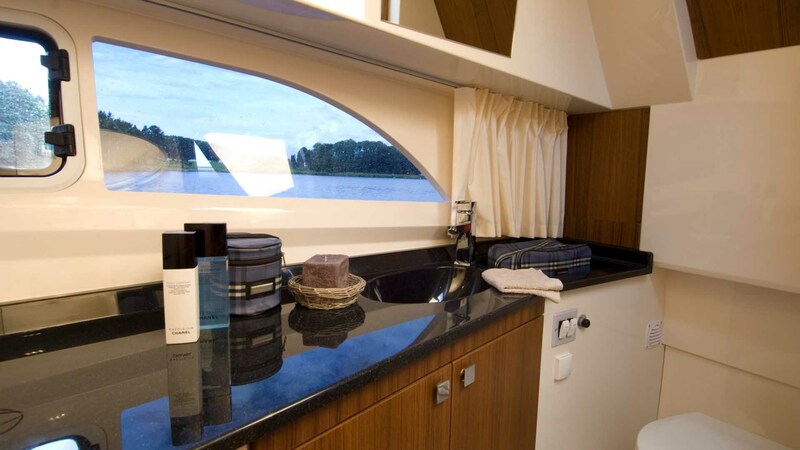 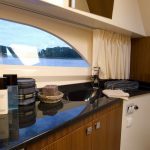 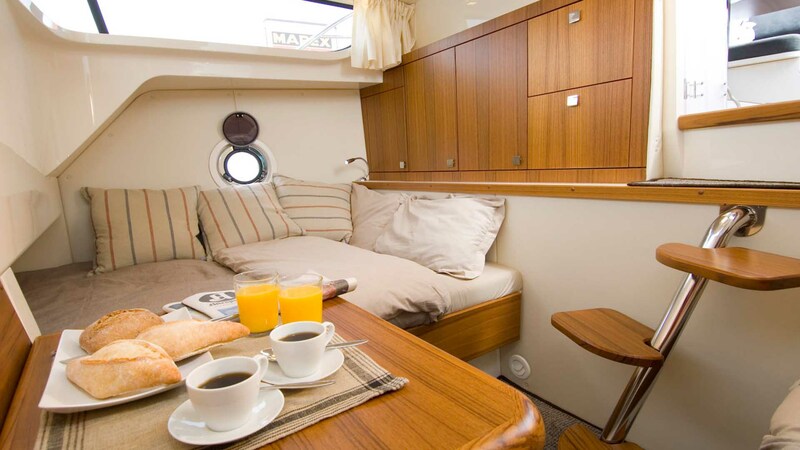 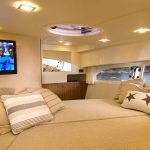 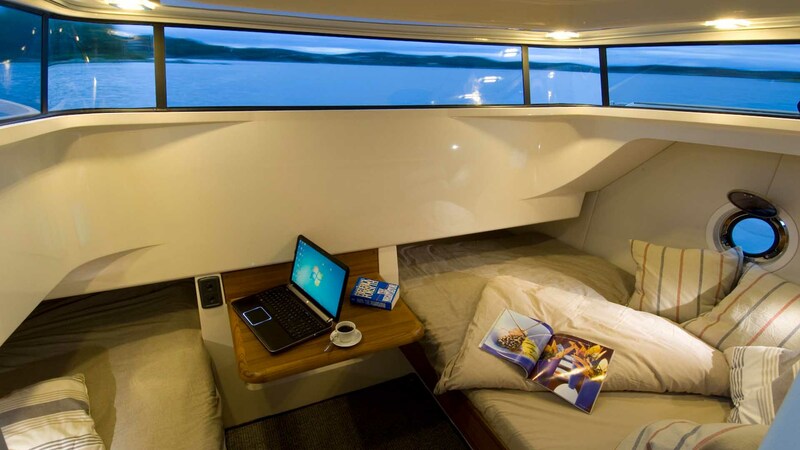 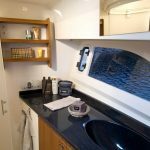 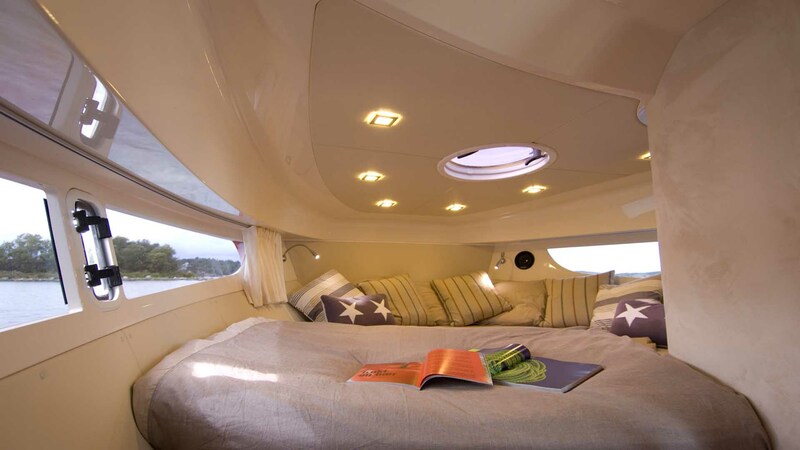 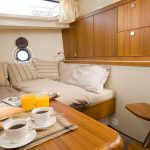 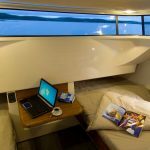 The 320 has the same innovative aft cabin layout, meaning two totally separate double cabins with an en-suite toilet and shower room mid-ships. 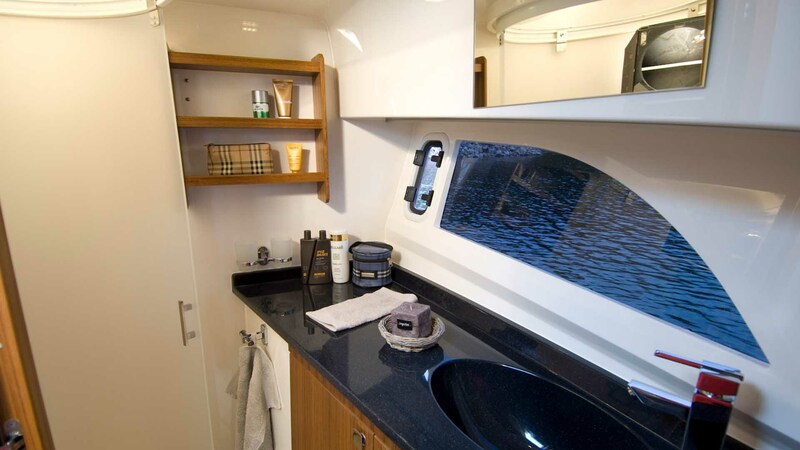 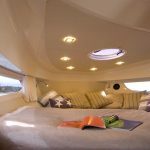 The comfortable cabin space combines with the excellent cockpit saloon and galley area to make this 320 feel much bigger than its size suggests. 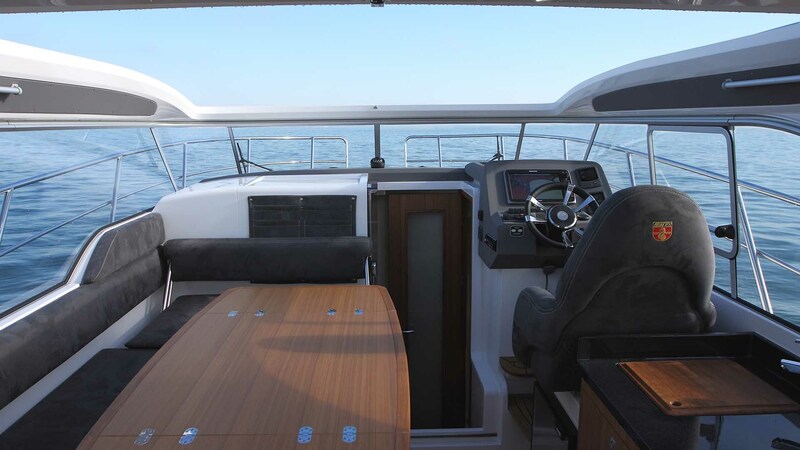 The full length sliding cockpit roof and clever ”pramhood” style aft canopy cover ensure the 320 is happy in all weathers. 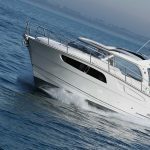 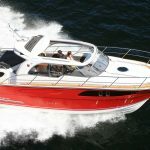 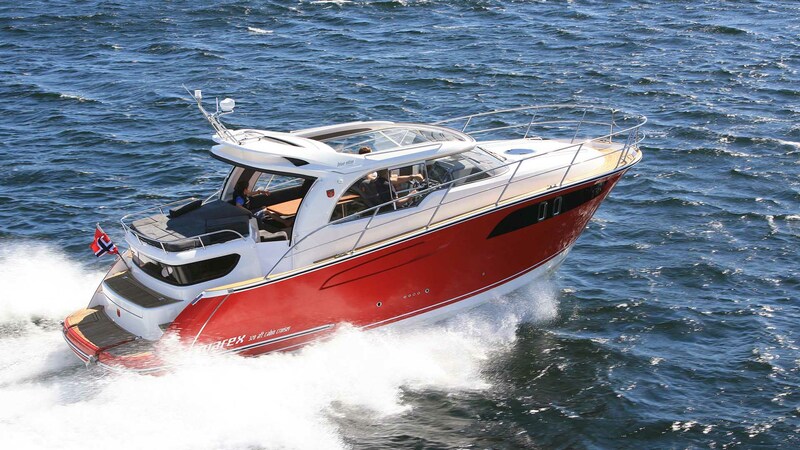 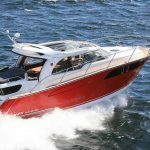 And with the economical single shaft drivetrain and competitive pricing, the 320 offers great value boating for the new generation of boat user.